Brad brought plenty of discs for the whole family. The Canyons Resort was the setting for today's round. 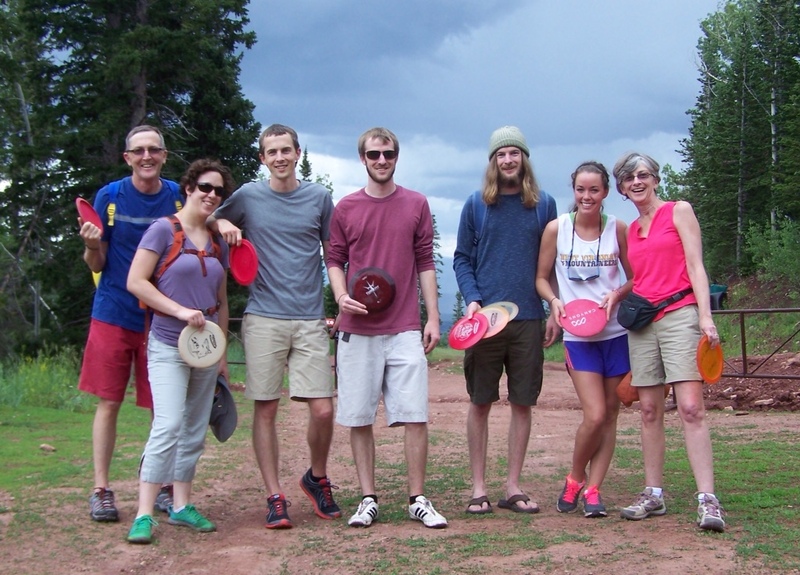 The first act of our family retreat in Park City, Utah was a round of disc golf. 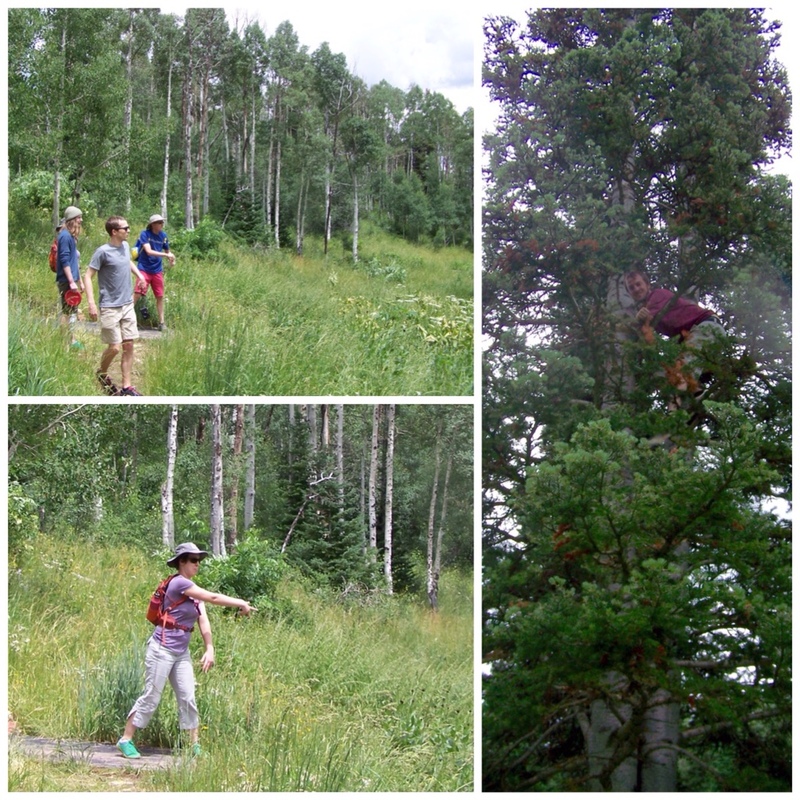 The gondola and chair lift took us to the high-mountain course where we spent most of the time hunting for lost discs. We lost just one, but found two others for a net gain. 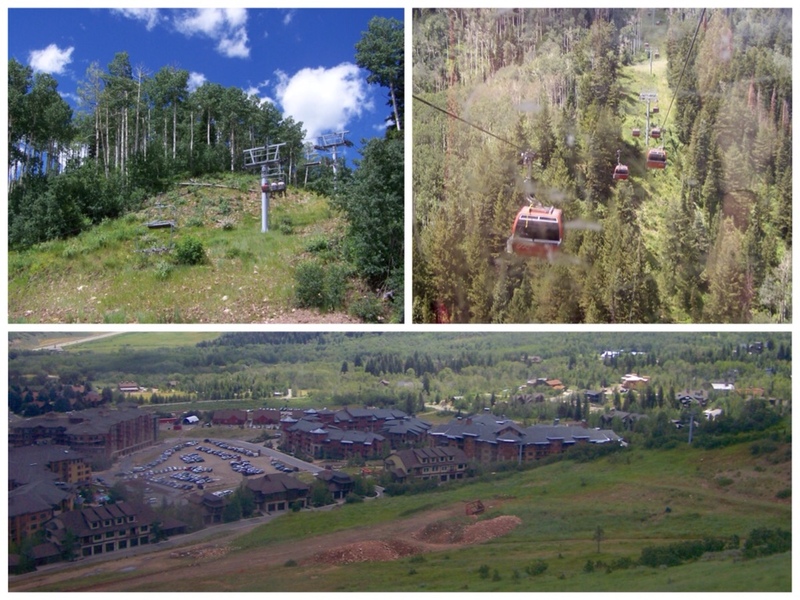 Many other mountainside activities await the family in the next few days, proving Park City is not just a winter paradise! The fairways were a bit overgrown and Reg landed one up a tree, sending Brad on a rescue climb. 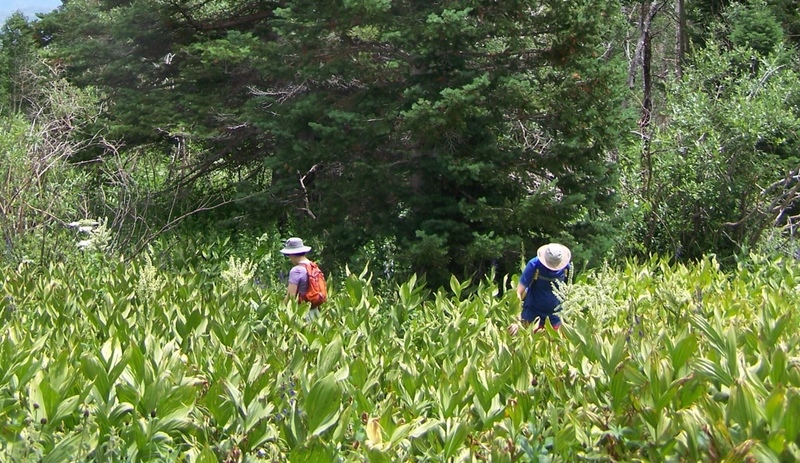 Dedicated disc hunters search successfully. Looks like a blast. Can I join your family? Think carefully, you have a perfectly nice name now. Looks super fun, in a gorgeous setting! Enjoy!